Combine ingredients in a mixing glass filled with ice. Shake and strain into a chilled champagne coupe. Garnish and serve. Create the perfect after-dinner drink, frozen drink or signature cocktail that features true Espresso beans and flavor. This Finest Call Espresso Martini Mix is the perfect addition to any cocktail and the ultimate pick-me-up for any customer. 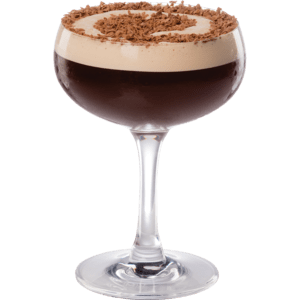 The profile, which showcases true Espresso, creates an authentic coffee flavor that is clean and complements any cream liqueur, whipped or vanilla vodka.